Masasaki Shirase, Yukinori Miyazaki, Tsuyoshi Takagi, Dong-Guk Han, Dooho CHOI, "Efficient Implementation of Pairing Based Cryptography on a Sensor Node," IEICE Transaction, Vol.E92-D, No.5, 2009. Jean-Luc Beuchat, Nicolas Brisebarre, Jeremie Detrey, Eiji Okamoto, Masaaki Shirase, Tsuyoshi Takagi "Algorithms and Arithmetic Operators for Computing the EtaT Pairing in Characteristic Three", IEEE Transactions on Computers, Vol.57, No.11, pp.1454-1468, 2008. 石黒司，白勢政明，高木剛， "ATmega128L上でのペアリング暗号の高速実装"， 情報処理学会論文誌, Vol.49, No.11, pp.3743-3753, 2008. Masaaki Shirase, Tsuyoshi Takagi, Eiji Okamoto, "Some Efficient Algorithms for the Final Exponentiation of etaT Pairing", IEICE Transactions Vol.91-A No.11, pp.221-228, 2008. Fagen Li, Masaaki Shirase, Tsuyoshi Takagi, "Analysis and improvement of authenticatable ring signcryption scheme," Journal of Shanghai Jiaotong University (Science), Vol.13, No.6, pp.679-683, 2008. Masaaki Shirase, Yasushi Hibino, "An architecture for elliptic curve cryptograph computation", SIGARCH Computer Architecture News Vol.33 N.1, pp.124-133, 2005. Fagen Li, Masaaki Shirase, Tsuyoshi Takagi, "Identity-Based Hybrid Signcryption," ARES 2009, pp.534-539, 2009. Fagen Li, Masaaki Shirase, Tsuyoshi Takagi, "Efficient multi-PKG ID-based signcryption for ad hoc networks", Inscrypt 2008, LNCS 5487, pp.289-304, 2009. Fagen Li, Masaaki Shirase, Tsuyoshi Takagi, "Efficient signcryption key encapsulation without random oracles", Inscrypt 2008), LNCS 5487, pp.47-59, 2009. Fagen Li, Masaaki Shirase, Tsuyoshi Takagi, "Certificateless hybrid signcryption", ISPEC 2009, LNCS 5451, pp.112-123, 2009. Fagen Li, Masaaki Shirase, Tsuyoshi Takagi, "Key management using certificateless public key cryptography in ad hoc networks", NPC 2008, LNCS 5245, pp.116-126, 2008. Fagen Li, Masaaki Shirase, Tsuyoshi Takagi. "On the Security of Online/Offline Signatures and Multisignatures from ACISP'06", CANS 2008, LNCS 5339, pp.108-119, 2008. Masaaki Shirase, Tsuyoshi Takagi, Eiji Okamoto, "An Efficient Countermeasure Against Side Channel Attacks for Pairing Computation", ISPEC 2008, LNCS 4991, pp.290-303, 2008. Masaaki Shirase, Yuto Kawahara, Tsuyoshi Takagi, Eiji Okamoto, "Universal Eta_T Pairing Algorithm over Arbitrary Extension Degree", WISA 2007, LNCS 4867, pp.1-15, 2007. Jean-Luc Beuchat, Masaaki Shirase, Tsuyoshi Takagi, Eiji Okamoto, "An Algorithm for the Eta_T Pairing Calculation in Characteristic Three and its Hardware Implementation", ARITH-18, pp.97-104, 2007. Jean-Luc Beuchat, Nicolas Brisebarre, Masaaki Shirase, Tsuyoshi Takagi, Eiji Okamoto, "A Coprocessor for the Final Exponentiation of the Eta_T Pairing in Characteristic Three", WAIFI 2007, LNCS 4547, pp.25-39, 2007. Masaaki Shirase, Dong-Guk Han, Yasushi Hibino, Ho Won Kim, Tsuyoshi Takagi, "Compressed XTR", ACNS 2007, LNCS 4521, pp.420-431, 2007. 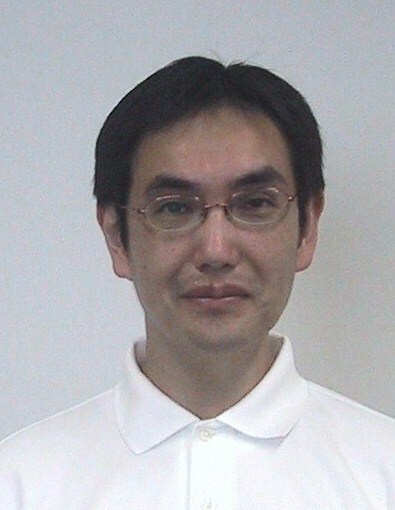 Masaaki Shirase, Tsuyoshi Takagi, Eiji Okamoto, "Some Efficient Algorithms for the Final Exponentiation of Eta_T Pairing", ISPEC 2007, LNCS 4464, pp.254-268, 2007.